Find our cheapest flights to New Plymouth from Auckland, Wellington and Christchurch. The snow-topped cone of Mount Taranaki defines the landscape here, but there's a lot more to this region than its mountain. The Taranaki region, with New Plymouth as its main city, is an inspired holiday destination for those who love surf, art, music events and adventurous hikes. Watching over everything is Mount Taranaki, a giant stratovolcano that's quietly sleeping beneath its snowy blanket. As the story goes, Mount Taranaki once lived with the other volcanic mountains of the central North Island - Tongariro, Ruapehu and Ngauruhoe. But Taranaki fell in love with a pretty hill called Pihanga, who happened to be the wife of Tongariro. After a fiery battle with Tongariro, Taranaki was banished from the central plateau. His falling tears created the mighty Whanganui River as he fled to the west coast. In March it's time for WOMAD (World of Music, Arts and Dance). New Plymouth has been hosting this awesome three-day event for years, so it's fantastically well-organised. New Plymouth is an arty city, so make sure you visit the Govett Brewster Art Gallery - New Zealand's leading museum of contemporary art. 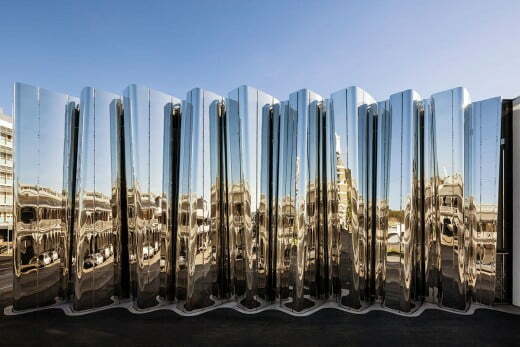 A star attraction here is the Len Lye Gallery, which celebrates local-lad-made-good Len Lye, who pioneered kinetic sculpture and filmmaking in the 20th century. His iconic work, the 48-metre high Wind Wand, can be seen swooping and swaying in the breeze as you stroll along New Plymouth's coastal walkway. Taranaki loves a good festival, especially if it involves music and lights. From mid-December to early February, Pukekura Park in New Plymouth turns on the TSB Bank Festival of Lights. Every evening the park becomes an illuminated wonderland, complete with live entertainment. Then in March it's time for WOMAD (World of Music, Arts and Dance). New Plymouth has been hosting this awesome three-day event for years, so it's fantastically well-organised. There are two memorable highway adventures to be had in Taranaki, each distinctly different. The Forgotten World Highway, running from Stratford to Taumaranui, is built on colonial bridle paths from the late 19th century. The route wriggles and bends over mountains, through a tunnel and along a mysterious river gorge. It's all sealed, except for a few kilometres. Taranaki's other big highway is Surf Highway 45, running between New Plymouth and Hawera. It's certainly about surfing, but it's also a great driving route for scenery, serenity and excellent local food. Wherever you go in Taranaki, you can feel the mountain watching, so give in to its magnetism and find yourself a hike in Mount Egmont National Park. There are easy half-hour tracks and there are epic adventures - like the Poukakai Circuit, which is a three-day loop route. If you decide to hike to the summit Mount Taranaki, go with an experienced guide - the mountain's weather is famously unpredictable. Taranaki has a mild oceanic climate with an average summer temperature of 22°C and an average winter temperature of 14°C. If you want to explore the Mount Egmont National Park, avoid winter. Taranaki surfers say the best time for waves is autumn. If it's gardens you're after, aim for spring.